With Marvel’s Thor getting released in America next weekend, earlier today I got to sit down with Kevin Feige (the President of Production at Marvel Studios) at the Los Angeles press junket for Thor. 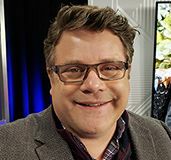 While I could have asked about how Thor came together and what it was like to make the movie, I previously posted a huge on set interview where he discussed all of those subjects. So I decided to use my time to talk about the future of Marvel and what are some of the cool Easter Eggs in Thor. Trust me, if you’re a fan of Marvel movies, you really want to hit the jump. While I strongly recommend reading/listening to the entire interview, here’s a few highlights from the conversation. There is a scene in Odin’s Vault in Thor. 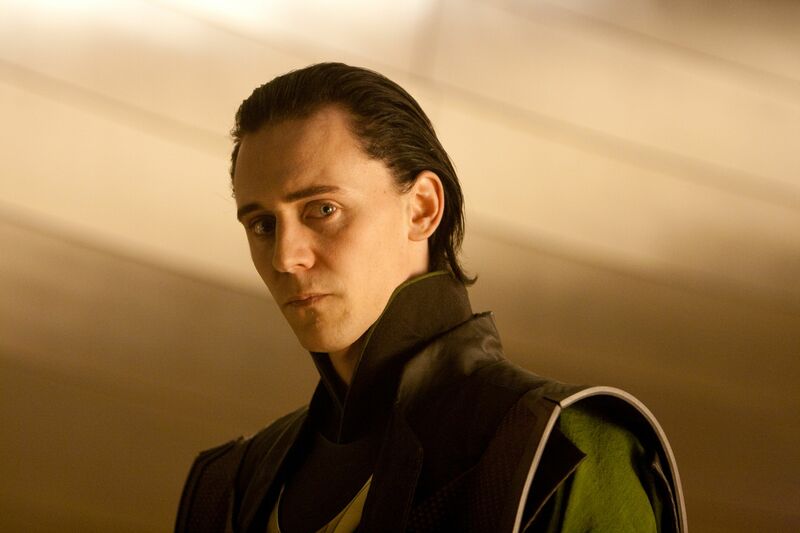 As some of you know, Odin’s Vault is filled with the wonders of the Nine Realms. While on set, Feige told us the Vault would play a role in future Marvel movies. Recently, people have speculated that an object inside ties into a Doctor Strange movie. I asked Feige is that was true and also what exactly is in the Vault. So the big question is…what exactly is missing from the Vault because that is probably the key to the next Marvel movie. After talking about how impressive the trailer is for Transformers 3, Feige talked about the Helicarrier in The Avengers! The way he spoke, it sounds like the animated movie will be made at Walt Disney and not Pixar. As I said a few times, if you’re a fan of Marvel movies and curious what’s going on behind the scenes, I think you’re going to enjoy this interview. As usual, I’m offering it two ways: you can either click here for the audio, or here’s the full transcript. Look for more Thor interviews all week. 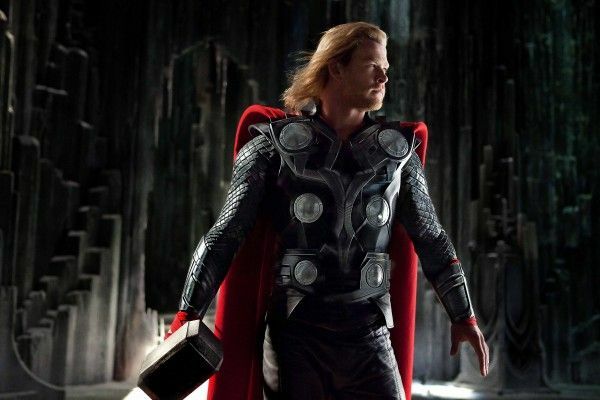 Collider: The thing that strikes me about Thor is that it came out internationally a week or two before America. What is it going to take, especially in this age of piracy, to be day and date around the planet for future Marvel movies? Kevin Feige: Well, it could be…the studios are the ones that control this and set the dates. So Thor could’ve easily have been a day and date release. 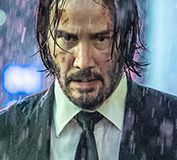 But the experts at Paramount, I don’t want say this viciously because they are experts at this, said that we would do better if we opened two weeks before to take advantage of the 6 day holiday that happens in Australia and to take advantage of certain holidays that were happening in the U.K. So far, I don’t if you have seen the numbers today but we are number one internationally now, they seem to be right. It’s all part of the strategy, but filmmakers like myself go, “Oh, but what about piracy?! What do you mean two weeks before the United States? !” and they go, “It’s a big planet. It’s not just the United States. It’s the whole word”, which is true. The U.S. counts for half and maybe sometimes less than half of the total worldwide box office. So you sort of have to follow their lead on these things. Now, we as Americans are for the first time feeling what the people around the world feel and it doesn’t feel good. “What do you mean it’s not out until two weeks for us?! I want to see it now!” So it’s a unique experience for us a film fan, and it’s scary as hell as a filmmaker. But I trust that these people that have an unprecedented track record for over the past 5 years, who certainly served us well with the start of the first Iron Man film, know what they are doing. I think a few shots of the Destroyer and I was talking to [co-producer] Craig Kyle and he was mentioning to me that there might have been a reference to Hank Pym in the movie that might’ve been taken out. I think that this film is very strong with mentioning other things in the Marvel universe without hitting people over the head with it. Feige: Well, that reference we felt was one too many times over the head, which is why we pulled it out. In terms of extended editions for DVDs? Yes. Home video always has long lead plans to do things like that. There will be deleted scenes on the Blu-ray for sure. I don’t know if there will be more or less than any other movie. When you said, “Were scenes deleted to get down to the running time?” No scenes were. We didn’t say, “This movie has to be two hours. Let’s take out as much until it gets to two hours.” If the movie played at three hours, it would be three hours. If it played a two ten, it would be two ten. If it played at 92 minutes like the first X-Men did, it would be 92 minutes. This running time, which I think is just under two hours or a little over two hours with the credits and tag at the end, was what the best version of the movie was. You’ve seen more deleted scenes on DVDs than I have I’m sure, and sometimes they are great and you go, “Why isn’t this in the movie? !” and sometimes you go, “I know why that wasn’t in the movie.” Even the scenes where you go, “This was great. Why wasn’t this in the movie?” If you actually then watch it in the course of the movie, and not being a film fan like us who just love anything, sometimes it sets the…Kenneth [Branagh}is very tone, pace, and is very regimented about that, and he is right. Sometimes you can have a great scene but if just doesn’t need to be in the movie. If it’s not progressing the plot, not progressing the story, not adding to the momentum, or if it’s not purposefully serving a breath – it has got to go. This has to be gratifying for you. This film and Green Lantern this summer are the two films that are really pushing the doors for comic book movies. How gratifying is for you are the really solid and great reviews and also the box office in terms of what it might do for the future of Marvel? Feige: It hasn’t opened yet, but certainly all of the signs seem very positive right now. This more than any film, and Kenneth Branagh and I were just talking about this, is “Are people going to go for it?” We think it’s cool and we like the ride, but are people going to go for it? 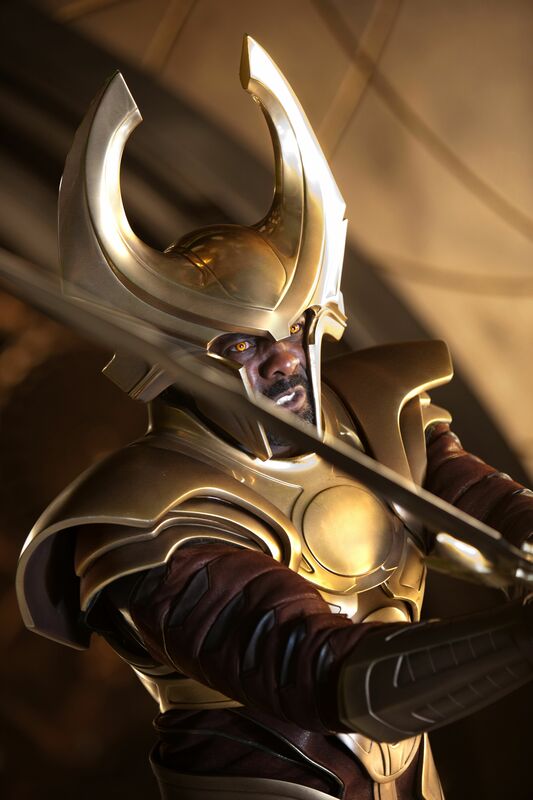 Are people going to go for the cape, the horses, the Rainbow Bridge, the observatory, Heimdall, the helmets, and the hammers? 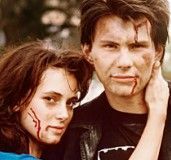 Clearly, we made the movie in a way that we felt would be inviting to people whether they knew if any of that stuff was or not so that they could follow the story and get into the story. It is extremely gratifying that that seems to be the case. It really is. I remember sitting in this room for the junket of Iron Man 2 and people were going, “How the hell are you going to do Thor? How are you going to fit Thor into the Iron Man world? It doesn’t make any sense!” I said, “Well, I think it could be done.” I’m very happy that people seem to be responding to that. What does it mean to the future of Marvel? Well, any success means that we can continue to make films and we can continue to get out of the comfort zone. The comfort zone of “I’m a normal person. Ow. I got bit by a spider or hit by gamma rays.” There is more than that in the Marvel universe. Those are great by the way and they are the foundations of the Marvel universe, but then you can start moving into “What if there was a sorcerer supreme? What if there is a country in Africa that is incredibly advanced? What if there was a city under the sea?” You can just keep expanding as it was done in the comics and audiences will go along with us. 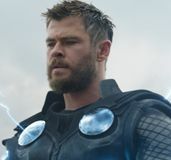 I haven’t seen Green Lantern yet, but you are right to point that Thor is one of those…as I have been saying for years “We are now trying to go to the cosmic side of the Marvel universe.” Are people going to come with us? Are the people who are used to seeing the Spider-Man or Iron Man? 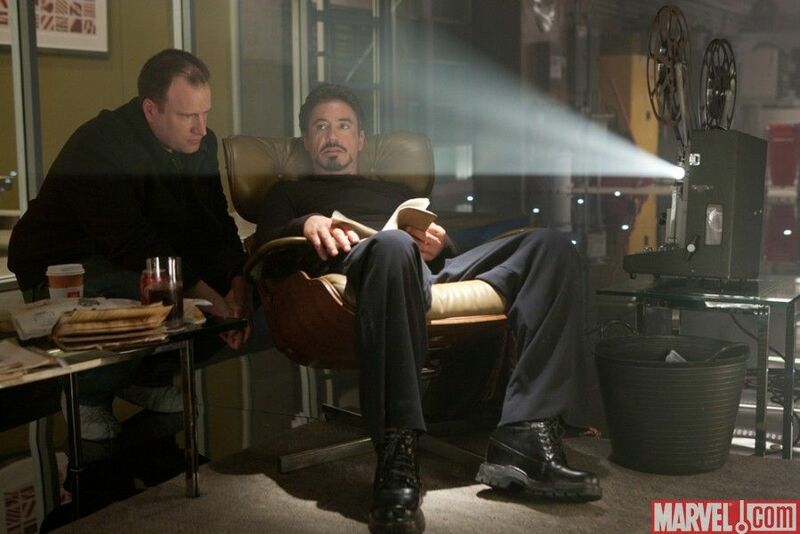 For as non-traditional as Iron Man is, he is kind of traditional. He’s got a suit and he has super powers. They just come from the suit instead of him. I’m very pleased that people are responding to it. Comic Con is bigger than ever. We are not that far way from this year’s edition. 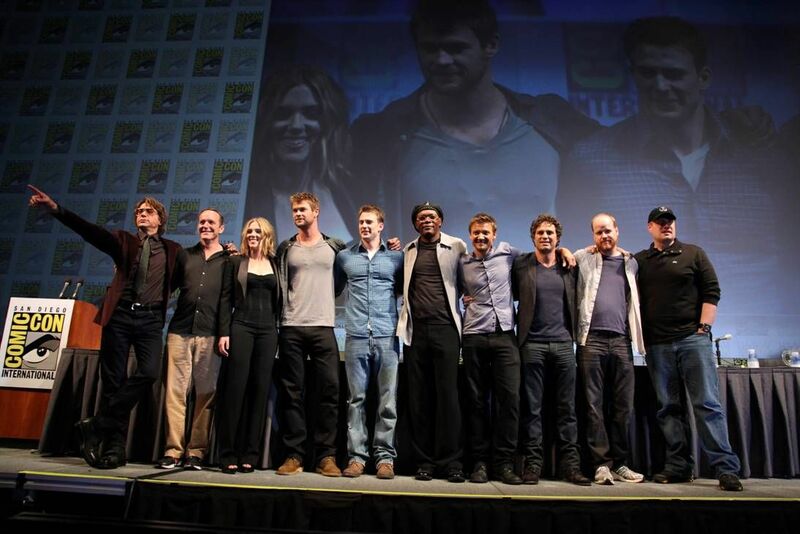 How much do you guys think in the executive level about what you are going to do at Comic Con this year and how you are going to raise the bar from last year after having the whole cast of The Avengers come out? Feige: It’s an ongoing discussion that often starts just after the last con. There are a lot of discussions going on now. It depends on the schedule, the strategy, and what is going on. The answer right now is that I don’t know for this year’s Comic Con. I definitely want to ask you about Odin’s vault. When we were on set you mentioned a whole bunch of things. Was any of Odin’s vault removed from the final movie or was that actually what you just filmed? I believe when we were walking through there you were like, “Well, this was Odin’s vault. There was this here and this here and this might even lead to maybe Doctor Strange.” It was stuff like that. People online are saying that there might be an Easter egg or two that might be a little Doctor Strange thing in the movie. 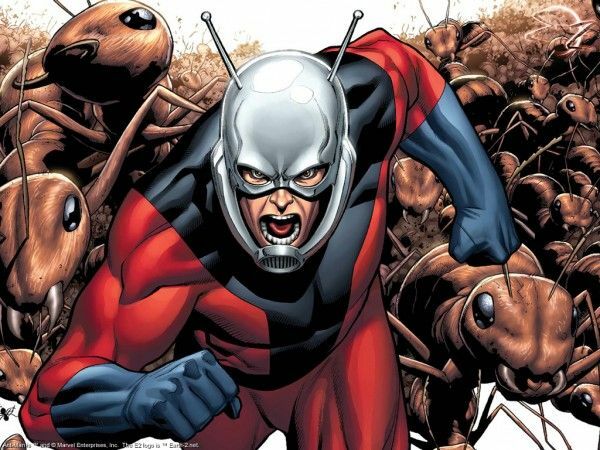 I mentioned Doctor Strange and we know that Edgar Wright is writing Ant-Man and has turned in a draft. You guys are obviously doing The Avengers next year, but this is obviously a beast that needs to be fed especially with your partnership with Disney. When do you think you guys will announce what is coming up in 2013 or 2014? 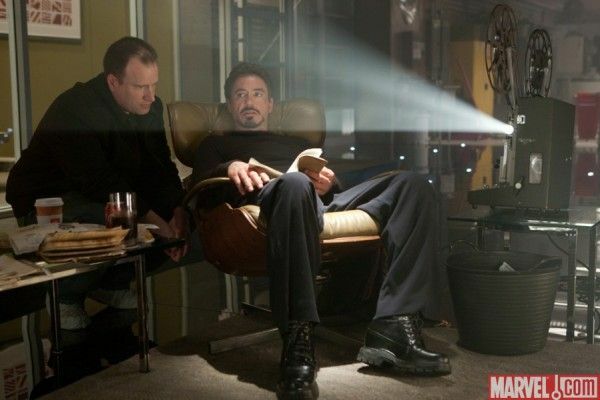 I definitely have to say that I am ridiculously excited about Shane Black being on Iron Man 3. Everyone online is just beyond excited that he is doing it. Did you realize when you brought him in that there was going to be such fan enthusiasm for this man to take over? Feige: Like when we announced Robert [Downey Jr.], I always thought that there would be some people who got it and some people would be like, “Well, that is weird. Let’s see what happens.” I was surprised when certainly the fanboy community got it right away with Robert. I should’ve known they would’ve gotten it right away with Shane. There was a lot of talk that The Avengers started filming the other day, but then the actors are here. Some people are saying that it starts in a few weeks. When exactly has The Avengers started filming? Feige: It started filming last Monday. Definitively last Monday in Albuquerque. So it’s just that certain actors are not being used yet? Feige: Yes. On any movie it’s a rarity to have all of the actors in every shot and every scene. Clearly, we are making both movies. So we scheduled things knowing that [Chris] Hemsworth and [Tom] Hiddleston would be here now while [Chris] Evans is here promoting Captain America. He won’t be shooting The Avengers so we balanced a very difficult…it’s a house of cards with this shooting schedule. But it did start last Monday. How long is the shoot for The Avengers? Feige: Most of our movies go for about 80 to 100 days. I think The Avengers falls right in the middle of that somewhere. That is for first unit and then it could be anywhere upwards to 50 days for second unit. But we will be going through September. You guys filmed in Times Square the other day. Feige: [sarcastically] How did you know about that?! Exactly. There was a lot of conjecture if that was for Captain America or The Avengers? Or was that for both? What can you tell people about that? Feige: I like that conjecture. I’m glad that is the conjecture. Here is what I will tell you, the first day of The Avengers included Chris Evans and Samuel L. Jackson. They were the two actors there on the first day of The Avengers shoot. That doesn’t mean that is the beginning of the movie and that doesn’t mean that is the Times Square scene, but they were first up. I will tell you…let me tell you a little story. Filmmakers are anxious about what other people are working on. Have you seen the Transformers trailer yet? Yeah. It blew my mind. Feige: It is unbelievable. You look at something like that and you go, “That is gigantic. That is huge. That is awesome. Wow. Boy, we have to equal that.” Literally an hour later I go into the dailies of The Avengers from the first few days of dailies. I saw Sam Jackson as Nick Fury in a slightly redesigned outfit with the eye patch turning around on the bridge of the Helicarrier and I went, “Oh. That is cooler than anything else. That one shot. That one thing.” I’m not worried anymore. What is it going to take to get Michael Bay into the Marvel universe now that he is done with Transformers? Feige: I don’t know. We will see. Is he really done with Transformers? Yeah. This is his last one. His schedule opens. It’s something to think about. I’m just throwing that out there. We talked last year about Marvel doing TV. So what is it going to take to get Marvel on TV? Does that mean that we might get some announcements at Comic Con? Or is it something that you guys are still trying to figure out what will be the right property? Feige: I think like movies, they have things in development. I don’t frankly know the world of TV. I know pilot season and when that is and things coming together. All I know is that whenever pilot season is again, which I don’t know, there will be Marvel properties that will be candidates to go into those pilots. But Loeb is the guy to talk to and if there are any announcements made at Comic Con he will be the one making them. John Lasseter recently said that there will not be a Marvel/Pixar movie. Is that for sure? Because that is a marriage that I think would be the greatest thing ever. Feige: Let me put it this way, I think there will be a Marvel animated movie at some point. I think that would be cool. I think becoming part of the Walt Disney company and have 8,000 plus characters and have that not become a reality? Whether that is Pixar or not…Marvel is about existing Marvel IP. Pixar, at least as far as I know, is about original IP. None of those are based on anything are they? Feige: I think we have been pretty successful bringing the Marvel characters to life and clearly they have been pretty successful in coming up with new stuff for every new movie or making sequels to their successful stuff. So I don’t know why they would change that. I have to ask you. Since you are planning an animated movie, are you looking at CGI or are you looking at hand drawn? Feige: I’m not saying we are planning an animated movie. Of course, there have been those kind of “What if…?” discussions. Aren’t they all CG now? Disney is still doing some hand drawn stuff. Feige: I don’t know. We will see. For more on Thor, click here for all our previous coverage.